Luke Bryan performs "Most People Are Good" at the 53rd annual Academy of Country Music Awards at the MGM Grand Garden Arena on Sunday, April 15, 2018, in Las Vegas. 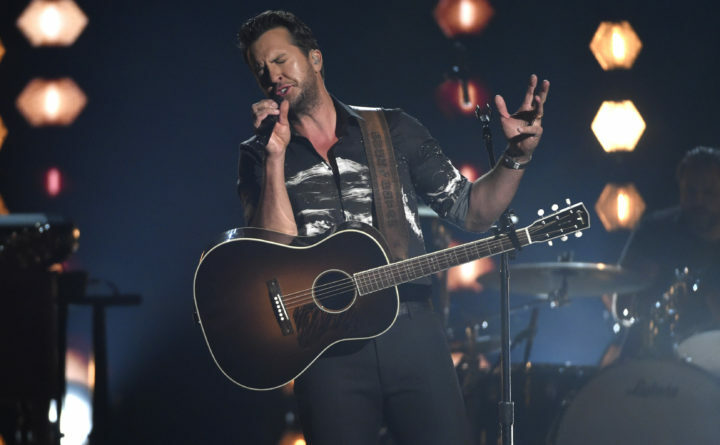 Country music star Luke Bryan will make his fourth appearance in Bangor this summer when he plays an August concert at the Darling’s Waterfront Pavilion. Bryan will play in Bangor on Thursday, Aug. 8, with openers Cole Swindell and Jon Langston. Tickets for the show will go on sale on Feb. 15 via Ticketmaster. Bryan, who has won countless country music awards, played in Bangor during the summers of 2013, 2014 and 2016. He is best known for his hit songs “Country Girl” and “Drunk On You,” and for his present stint as a judge on the rebooted “American Idol” on ABC, alongside Katy Perry and Lionel Richie. Bryan is the third country artist announced for the Darling’s Waterfront Pavilion, the others being Florida Georgia Line, the country-rock duo that will perform on Thursday, July 18, and acclaimed songwriters Chris Stapleton and Margo Price, who will perform on Thursday, July 25.